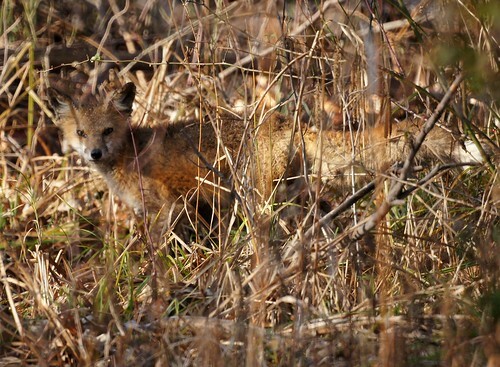 Recently a fox (or maybe two) have been seen more regularly by us and several of our neighbors. One afternoon, it startled Chris right in front of the house. This morning, while out testing a eye-fi memory card for the camera, we saw this one by the dam.